Just give me a needle! I was nominated for the Liebster Blog Award by Prayersformymom. Thank you Shirley for thinking of me! 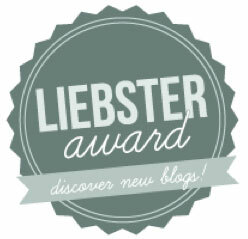 The Liebster Blog Award is an award given by bloggers to up and coming bloggers, most of whom have less than 200 followers (definitely me)(or have been blogging for less than 6 months). It is to show newer bloggers that they are appreciated, and to help spread the word about new blogs. It was created to promote appreciation and recognition among the blog world. Liebster translates to “dearest” (or favorite/best) in German. It is also known as the Love Blog Award." It's been fun to get to know some bloggers better and a great way to pass on the love. 2. Answer the 11 questions given by the nominator. 3. Create 11 new questions for those you nominate. 4. Choose 11 new blogs and link to them in your post. 1. I am very competitive. 2. I lived most of my life in a trailer. We were military and moved around a lot, so it was easier just to move the trailer without having to pack up everything. 3. I am trying desperately to give up my potty mouth. By the grace of God, I'm getting there. Does "crap" count? 3. I went into labor at exactly 29 weeks with all 3 of my pregnancies. 4. My oldest son was my biggest baby weighing in at 9lbs and 2 1/2 weeks early! 5. My favorite music is classic rock, but I listen to just about everything. 6. I took home ec in 7th grade and made my first wrap skirt. Didn't pick up sewing though until my daughter was born. 7. I don't like people who tell you they love you but show you something different. 8. When I was 18, I went on a cruise all by myself for a week. First time I ever flew too. I felt for the guy sitting next to me! 9. I'm afraid of heights. 10. I'm a girly girl. 11. I don't celebrate my birthdays, Valentine's day or anniversaries. They are just "another day" for me. I started to keep track of the things I was making for others. I was having a hard time remembering who I gave what to! Now it's just fun to share with others. 3. What is something you would do or attempt if you could not fail? I would sky dive if I wasn't afraid of heights! 4. Who influenced your life the most as you were growing up. My abusive father actually. He showed me what NOT to do with my own children. 5. If you could travel anywhere you haven't been, where would it be and why? Belize. I just want to sit on the beach with hubby and relax. 6. Tell us one of your favorite quotes. 7. Do you have good computer skills? If so, how did you learn them? I am the computer "go to girl" in my office and at home. Mostly self taught. Honest, direct, fun, compassionate, and analytical. 9. When life throws you lemons, you throw them back!! 10. Is your best friend in high school still your best friend, or even just a friend? Haven't seen her since we graduated. 11. What causes you to get your feelings hurt? People who say hurtful things for absolutely no reason. Constructive criticism is one thing, but don't say things if they aren't constructive. 1. What is one thing in the world you would change right now if you had the power? 2. How did you get your blog started? 3. What was your favorite vacation? 4. What is your absolute favorite sweet? 5. Do you ever throw tantrums? 6. If a tornado was going to demolish your house and you had time to grab one thing, what would it be? 7. How old were you when you knew what you wanted to be when you grew up? 8. How old were you when you got your first speeding ticket? 9. Who was the first person/band you saw in concert? 10. What do want people to remember you for when you have gone to Heaven? 11. What are some words you live by? 2. This and that in the rose garden. Okay ladies! There you have it. TMI about me and not enough about you.